An all-over body and hair mist kissed with mouthwatering notes of toasted coconut, creamy caramel, and buttery praline. One of Sol de Janeiro's essential beauty secrets is to be cheirosa (sheh-rō-zah), which means to smell incredibly delicious from sunrise to sundown. 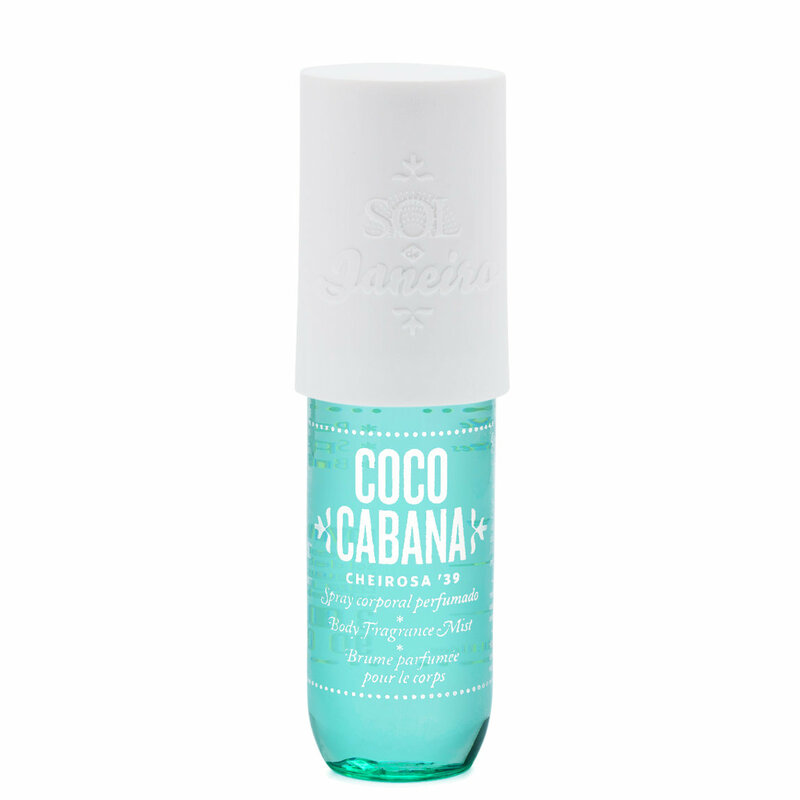 This Coco Cabana Body Fragrance Mist takes deliciousness to new heights with this head-to-toe, Cheirosa ’39 fragrance, and notes of toasted coconut, creamy caramel, and buttery praline. Coco-luscious and deeply complex to tempt and tantalize, this is our ultimate fragrance treat. Possibly the most delicious fragrance you’ve ever experienced, this is also one of the most sophisticated gourmand scents. Layered and irresistibly complex, Cheirosa 39 touches deeply, tempts wildly and leaves you (and everyone else) wanting more. Use all over the body anytime, anywhere. Spray on hair, clothes, and lingerie.